Firefighters tackled a factory which went up in flames in Cannock. The blaze took place at the premises in Littleton Drive in Huntington. An investigation into its cause is now under way following the incident. The fire started with pallets becoming well alight before spreading onto the main factory building. Crews from Penkridge and Cannock Fire Station used water jets to extinguish the flames and to prevent them from spreading further. It happened yesterday morning from before 11am. A Staffordshire Fire and Rescue spokesperson said: "We were called to Littleton Drive in Huntington at 10.56am following reports of a fire at a factory. 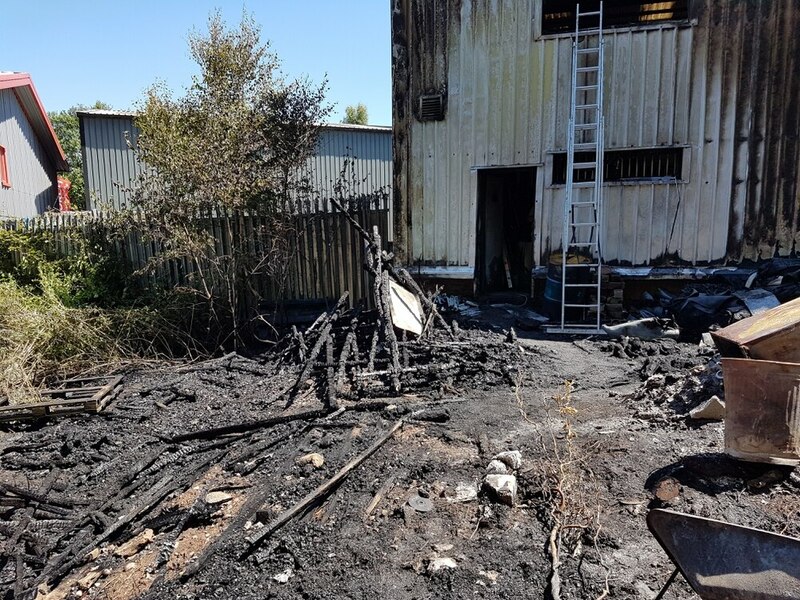 "Crews from Penkridge and Cannock attended, with four firefighters using breathing apparatus, one hose reel and a main reel jet to control the blaze. "The pallets were well alight on arrival and it did start to spread to the premises of the factory."